IT is a complex field of business with constant requirement for network & server simulation solutions. Many companies provide a comprehensive tool that helps in simulating servers, networking and acts as storage device. It is important to simulate servers and network for efficient lab testing and imparting high level of security against threats. With help of network simulation, real time testing becomes easy as it predicts the operation of the computer network. With the help of the IoT Simulator thousands of IoT sensors, gateways and connected device undergo real world lab test. Generally, for covering all the protocols required by the IoT applications suite of simulators is required. There are many applications of the simulator which is why it is widely used across many IT firms. • It helps in testing the scalability by comparing thousands of sensors, thus quick development and testing facilitated. • With these simulators, marketing can be enhanced with powerful live show set ups. • The sales can be pushed to individual or customer centric environment using the simulator suite. • The simulator can create a smart city or smart factory with implementation of real time testing. 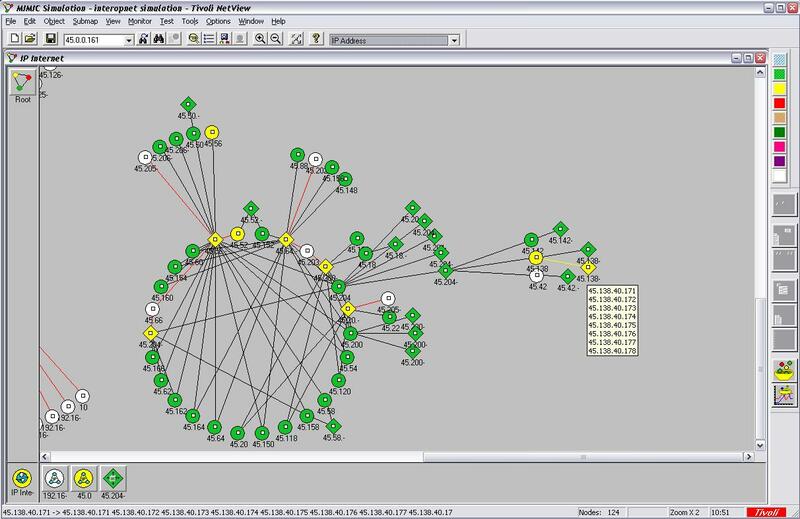 With network simulation it is possible to connect multiple devices and route them to a single network. With the IOS Simulator, it is possible to simulate over 100,000 devices to a single workstation. The devices can be distributed to multiple workstations with the simulation. Most of them are supported and certified by Cisco IOS software. Connecting the devices through the simulator enables testing of hundreds of applications. The simulator comprises of a complete suite that enables simulation of complete network, capture snapshots to figure out the behaviour of devices on network, manipulation of simulations, create network topology etc. In computer networking or IT fields, simulation is an important aspect in order to understand the behaviour of the network through the connected devices and help run real time tests. The network behaviour, associated applications and services thus can be observed in a test tab and thus any changes required can be modified in the lab in a controlled and efficient manner. Simulators help in decoding the network model describing the network connections like nodes, routers, switches etc and events including data transmissions. Various applications of network simulators are as given below. • Understanding the topology of the network with precise information of network nodes and links between them. • Test and find the flow of application between nodes. • It is affordable way to analyse the network and works great with enterprise, data centres, companies etc. • It helps in evaluation of protocol and design network with faults through real time testing. It is an integral part of any enterprise or business that has network of devices connected in order to resolve issues related to the connection and network. With the simulators, lab testing can be done in order to progress the current set-up. It is an efficient way to keep a check on the complete protocol of network set-up. Let your imagination fly in the world of things! Let us become free from the practical constraints of the IOT development! Let us create the things and behavior just like the real one! Let us know what IoT and Cisco IOS simulators are! Let us understand how it can help in communicating the unique patterns! Iot simulator simulates the sensor, actuators and devices with unique behavior. It helps to communicate in unique patterns. It helps the simulated things interact with each other thereby creating complex, dynamic system. Overall it helps creating the exogenous events for the system. With this simulator it is possible to make the world live with different environmental factors like weather breakdowns, traffic jam, etc. The IoT (Internet of things) simulator helps creating a real-world test lab with thousands of IoT sensors and devices. There are many common uses of the Internet of Things simulator.! Let us talk about the versatile suite of the Internet of Things software tools! The Internet of things simulator helps the IoT developers to implement their products as quickly as possible. It helps in testing of scalability against the thousands of the sensors, MQTT brokers and MQTT subscribers. It becomes easier to evaluate the suitability of the applications once various heterogeneous environments of sensors and devices is ready. It also helps evaluating the anticipated failure and growth sensors. With the help of IoT simulators, it is very easy to have a powerful marketing setup. It helps in setting up for the live demonstration at the trade shows. It also helps the sales to tailor their presentations to the individual customer’s environment. So, if you are interested in creating your own test lab nestled with devices and topology, it is ideal to go for simulators that can allows you to create different devices. It is possible to simulate as many as one lakh devices in a lab. Let us talk about what the IOS simulators are? How it can be helpful and make the businesses to improve? • The IOS Simulators enable simulating variety of Cisco devices. • It helps simulating the 100,000 devices in single workstations. • It also benefits simulating number of devices over multiple workstations. • It makes it easier to test various device configurations and issues. • Some simulation software also let you create a new device that you want to simulate. 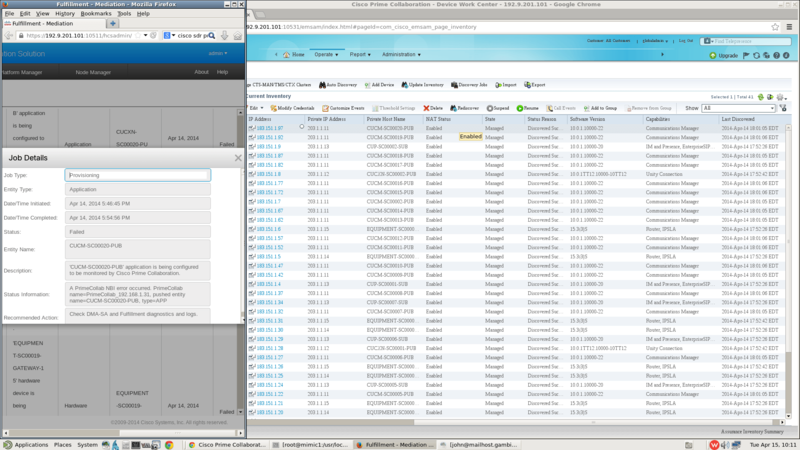 • It helps to see how networking applications run against various devices. Overall, IOS simulators are the ultimate solutions available for testing and training of Cisco devices.It is really a wonderful thing that allows debugging facility which is really an important bench mark. In short, the IOS simulators and IoT simulators helps test scalability, features and variety of network conditions. Server checking is vital to IT infrastructural preservation. An excellent checking organization not simply makes alarm in reply to the dangerous proceedings but further more offers the logical apparatus to work on the better situation in IT domain. For server checking purposes, a number of normal protocols are employed in the IT industry. The usually employed protocols are SNMP, ICMP etc. SNMP is, by far, the commonest selection and extensively used stage for server checking. SNMP employs an ordinary group of people string to check devices. While the string is coordinated, it offers helpful information concerning the physical health of server and additional devices. SNMP stands for Simple Network Management Protocol. It is a customary protocol and employed to check servers on IP system. Though, the service of SNMP Test expands to further devices comprising routers, switches, printers etc. This protocol has a wide spread utilization in network administration systems. SNMP checks every of the network friendly devices for circumstances worth which deserve attention from the superintendent. Primarily, it lets us make a decision on what to administer. Lets us declare a router or a switch or a computer for instance, we require having a number of software or some what inside that will talk our language and will perform what it is inquired to perform. If he starts considering multifaceted language, in that case it turns out to be hard. So we educate the manager merely three SNMP commands. And we have the administrator who will concern a number of of these commands and further more recognize some what the agent sends. This is the etiquette we consent between the mediator and the manager. It is termed SNMP and it is as easy as what we have just interpreted. At the present, what is all the stuff you would like to perform on a router? Let us attempt to categorize them. You would like to obtain the position of the router, obtain a number of significant constraints on the router and obtain the present actions on the router. A verb which is wide spread in all of these everyday jobs which we are setting up to carry out is the word obtain. This is the initial categorization. So SNMP supports a command named the GET request. Currently formerly you choose that you have to perform a get, certainly you will further more recognize earlier what is that you would like to acquire. Do you would like to obtain the position, the constraint or the actions? These terms and the farm duties would be diverse for each and every appliance. So how do we resolve this difficulty? We could employ a string and declare that we would like to obtain this string. Or we could perform it based on a number of identifier and recognize each of the constituent which we are fascinated in exclusively. In SNMP part (frequently called an SNMP agent) is set up in every of these network essentials. Every SNMP agent has dissimilar odd jobs, but what they all essentially perform is offering feedback information on every network part to the major system. The information that is practice dcomprises relaying particulars regarding obtainable structure resources, programs running, etc. All of these are communicated by manner of SNMP to the system or organization in charge.